Microwave Cabinet With Outlet. 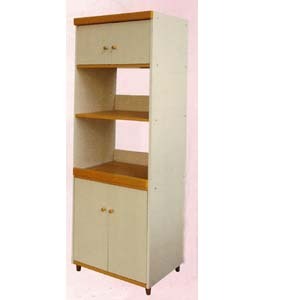 Features Top 2-Door Storage, Two Shelves For The Microwave And Other Appliances, And 2-Door Storage With Two Shelves. Easy To Assemble. Available in White and Natural. Size: 23-2/3 x 17-1/3 x 71H. 106 lbs.